This 8 week course in Mindful Self-Compassion will be led by Becca Peters. Join Mindfulness and Compassion Teacher, Becca Peters, on Sunday, January 7th, 2018 for a 2.5 hour mini-retreat "AWAKE.” Becca will lovingly guide you in meditation and reflective mindfulness exercises to support you living life with greater self-compassion, authenticity and joy. 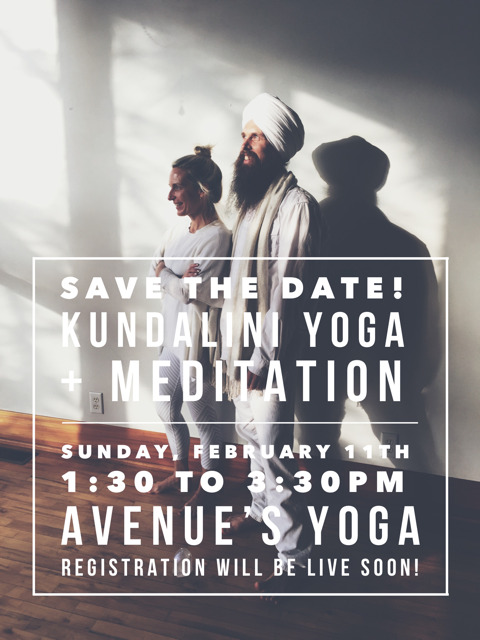 The final hour will be led by Nikki Breedlove who will offer an hour of kundalini yoga to integrate body, mind and spirit. Sunday, January 7th from 1:30- 4 pm. Join us December 9th for facial peels by Kim Sevy, fresh holiday looks and makeup application by stylist and yogi, Nikki Breedlove and items thoughtfully selected by Meditation and Mindfulness teacher Becca Peters, proprietress of the shoppe to include beautiful yoga and meditation supplies, from the Metta SHOPPE including self care products, cashmere, candles, jewelry and more. Ali Burgess of Stilo Stream will be parked just outside in her amazing airstream boutique. Join us for this three hour mindfulness and self-compassion workshop at Metric Yoga. A six week course in mindful self compassion. **Registration must be completed by December 1st to confirm your seat. Join us for a half hour guided group meditation in downtown Salt Lake. Join us for a guided meditation from 8 - 8:30 am Monday morning. Cost is $10 and participants must pre-register to attend. Metta Film Series Screening of "On Meditation"
Metta Mindfulness + Meditation Center presents a free screening of "On Meditation, " at Centered City Yoga. Compassion Cultivation Training™ Learn how to train your mind to intentionally choose compassionate thoughts and actions and develop skills that help you relate to others—and yourself. Coursework: Two-hour weekly classes that include lecture, discussion, and in-class listening and communication exercises with partners and small groups. Meditation: Daily meditation, visualization, and breathing practices to develop loving kindness, empathy, and compassion. Assignments: Real-world homework to help you practice compassionate thought and action. People working in a wide range of professions and life contexts can benefit from this program. Everyone is welcome. A commitment to attend each session is requested. No previous meditation experience is required, although willingness to practice daily meditation is a key component of the training. The group room is upstairs and requires walking up a flight of stairs. For Compassion training extends beyond helping one feel more empathy and concern for others. It includes the development of the strength to be present with suffering, the courage to take compassionate action and the resilience to prevent compassion fatigue. These qualities support a wide range of goals—from improving personal and work relationships to making a positive difference in the world. Preliminary research suggests that the CCT course and similar programs can increase self-compassion and self-care, reduce stress, anxiety, and depression, and enhance connection with others. This course was developed by the Center for Compassion and Altruism Research and Education (CCARE) at Stanford University School of Medicine. CCARE investigates methods for cultivating compassion and promoting altruism within individuals and society through rigorous research, scientific collaborations, and academic conferences. Compassion training courses are educational and are not meant to treat psychological disorders. Participation in the course requires regular attendance and adhering to basic classroom policies. September 20th -November 8th Tuesdays 6:00-8:30pm **A 4-hour mini-retreat will be held on Saturday, October 15th from 1-5pm. There are no make-up classes for this series. The 8-week format consists of eight weekly, 2 ½ -hour sessions with 15 min breaks in a classroom/discussion group format, plus a 4-hour retreat. This class is often most easily integrated into our lives and offers an extended opportunity to deepen and solidify our practice. This training will be led by Becca Peters, LCSW and Certified Mindfulness Facilitator. ***Space is limited to 20 participants. The course will be held at the Wasatch Retreat Center in downtown Salt Lake City. The half-day retreat will be held at Red Butte Gardens. How do you typically react to difficulties in life—work stress, feeling rejected, physical problems, or financial hardship? As human beings, most of us instinctively fight negative experiences and find fault in ourselves when things go wrong: “This shouldn’t be happening!” “What’s the matter with me! ?” Unfortunately, this tendency just adds stress to our lives and the critical self-talk defeats us before we know what’s happening. For example, the more we struggle to fall asleep, the harder it is to sleep; fighting with anxiety makes us feel worried all the time; and blaming ourselves for feeling bad just makes us depressed. But what would happen if, instead, you took a moment to calm and comfort yourself when you felt bad, just because you felt bad—much like you’d do for others? In other words, what if you learned the art of mindful self-compassion? Self-compassion is a skill that can be learned by anyone, even those who didn’t receive enough affection in childhood or who find it embarrassing to be kind to themselves. Self-compassion is actually a courageous mental attitude that stands up to harm—the harm that we inflict on ourselves every day by overworking, overeating, overanalyzing, and overreacting. With mindful self-compassion, we’re better able to recognize when we’re under stress and face what’s happening in our lives (mindfulness) and to take a kinder and more sustainable approach to life’s challenges. Self-compassion gives emotional strength and resilience, allowing us to recover more quickly from bruised egos to admit our shortcomings, forgive ourselves, and respond to ourselves and others with care and respect. After all, making mistakes is part of being human. Self-compassion also provides the support and inspiration required to make necessary changes in our lives and reach our full potential. Research has shown that self-compassion greatly enhances emotional well-being. It boosts happiness, reduces anxiety and depression, and can even help you stick to your diet and exercise routine. And it’s easier than you think. Most of us feel compassion when a close friend is struggling. What would it be like to receive the same caring attention whenever you needed it most? All that’s required is shift in the direction of our attention—recognizing that as a human being, you, too, are a worthy recipient of compassion. The course includes handouts, guided meditations and instruction and is offered for $450. *Becca Peters will be a teacher in training for this course. January 5th -February 23rd Tuesdays 6:30-8:30pm. MAPS I Meditation Workshop September 22nd-October 27th, 2015 Becca Peters, LCSW, Certified Mindfulness Facilitator through UCLA’s Mindful Awareness Research Center, and owner of METTA Mindfulness Center is offering a: 6-week Mindful Awareness Practice Course (MAPs I), created by Diana Winston & Dr. Sue Smalley of the Mindful Awareness Research Center, University of California Los Angeles. The 6-week course will be held on Tuesdays beginning September 22nd through October 27th, 2015. MAPs classes meet weekly for two hours per week for six-weeks. Students will complete daily home practice meditation assignments starting at five minutes a day and working up to 20 minutes daily by the end of the course. Students will receive a complimentary Home Practice Audio File and a copy of the book Fully Present: The Science, Art, and Practice of Mindfulness by Susan Smalley, PhD. and Diana Winston.